Decorative LAGURUS Wood Reed Diffuser Gift Set with Extra Glass Bottle by ASPASIA at Home Decor Outlet Store. Hurry! Limited time offer. Offer valid only while supplies last. Fragrance Reed Diffuser contains Decorated Glass Bottle with 10 sticks. Preserved LAGURUS Bouquet creates a fabulous first impression for guests. Fragrance Reed Diffuser contains Decorated Glass Bottle with 10 sticks. 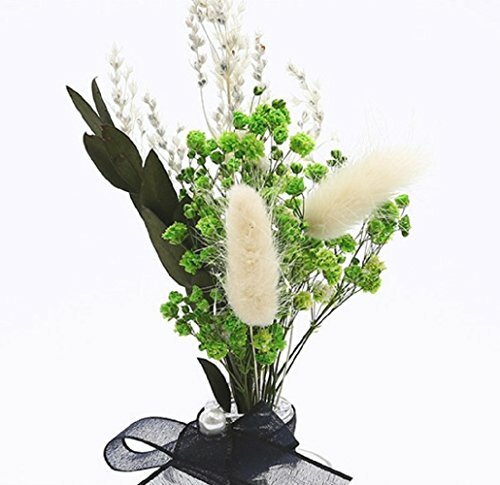 Preserved LAGURUS Bouquet creates a fabulous first impression for guests. Ideal modern decor for Home & office. Excellent Gift Idea! Makes a unique and elegant gift for any occasion. 3.5 fl. oz (100ml) Fragrance Oil. Start with 3 Reeds! If you have any questions about this product by ASPASIA, contact us by completing and submitting the form below. If you are looking for a specif part number, please include it with your message.